A blog created to keep myself focused and more tuned in to the thoughts of others traders. 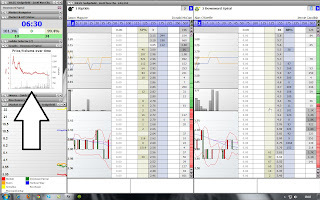 I hope you enjoy this insight into the exciting world of sports trading! STJ Live Announcement! JOIN FOR FREE! I've been on a crazy journey the last few months and it feels like I've been living in a cave, that just happens to be my bedroom. I swear my skin melts when I step foot outside in the sunshine as my body thinks what the hell is this place! I've even grown a caveman beard to fit into this new lifestyle of mine haha. STJ has taken over my life somewhat recently, but it's been a very humbling experience and I've learnt a lot about myself in this short process so far. I started this whole venture to ultimately challenge myself and I was looking for some direction to follow and work towards. But what has come as a pleasant surprise to me, is the overwhelming sense of positivity around the community at STJ. It's very much brought me back to why I got into trading in the first place, which was a way to have freedom in my life and be in control of what I do and when. I truly believe that being positive changes everything! You stop thinking 'I can't do it' and you begin to think 'how can I do it'. If your brain is silenced at the first step of asking, how are you ever going to find any answers? Positivity is a way of thinking that manifests from people around you, and what is great is that I've noticed this happens even online! The community has turned into a place for people to not only speak about trading, but also a place to speak about their goals and aspirations in life in general. I've spoken before about trying to find something else that will push you through the oncoming barriers in this game, rather than the obvious 'I want to make loads of cash'. The search for freedom? The search for a change of lifestyle? The search to simply challenge yourself? Whatever it might be, you need you find your own drive that will help you find success in this game. STJ Live is 3 month video journal I'll be recording every few days. I'll document my thoughts and feelings on the markets, and talk about life in general so people can get a real insight into the life of a full-time sports trader. This will start on the 1st June and end on the 31st August, and this is a completely FREE invitation into my life for 3 months! 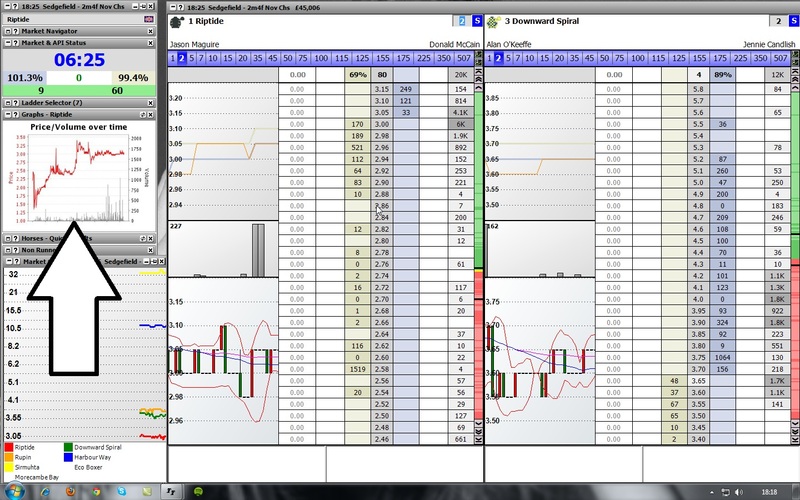 I'll also be recording every race I trade over this period starting with a £700 bank. My members have asked me for some full days trading videos, so I thought I would start from scratch and show them how to start from a realistic trading bank. 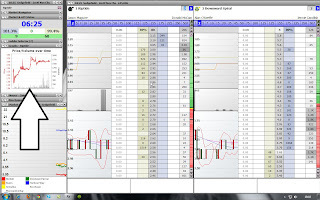 Trading race after race, and explaining exactly what I'm thinking throughout. So if you want to be a part of this unique experience for FREE! And get a chance to receive loads more juicy trading content over the next few months. All you have to do is join my free members area on my site to gain access. FREE trading content - Join now! See you on the inside! It should be fun! The summer is really hotting up now after a blisteringly warm April and witnessing that performance shown by Frankel in the 2000 Guineas. I say 'that' performance because it was truly something special! He simply destroyed the field making Group 1 horses look like ponies. Absolute madness and I still get a chill down my spine when I watch it back. The sport needed a superstar flat horse and ohh yes he's arrived! I've recorded the race and just uploaded it to YouTube. So if you didn't get chance to view this you are in for a treat trust me. Click on the Youtube HD button, go full screen, crank up the volume and enjoy! Today was the start of the Chester meeting and it was a decent days trading. I think the markets are perfectly suited to swing trades at the moment, so if you are patient enough to pick your opportunities wisely then there are some fantastic moves to be caught. These graphs below are becoming common place in many races, and I have advised my members at STJ to be very cautious looking to scalp these markets of late. Pin point a trend, follow your instincts and swing baby swing! Overturn was another impressive front running performer today, although not quite in the same style as Frankel it has to be said. It was still a gutsy victory and was great to see the trainer Donald McCain win a Grand National and a Chester Cup back to back. I'm sure that doesn't happen very often! It's been another fantastic week of top quality horse racing at Aintree. Climaxing at the notorious Grand National on Saturday. Somehow I picked the winner Ballabriggs this year, but was far from confident so I just had a cheeky fiver e/w fun bet. He jumped like a stag and was always looking in contention from the get go. With all the glam and prestige surrounding the Grand National, we do witness many horses getting badly hurt or even die from this race every year. I think there was 2 that had to be put down this year. So it does beg the question whether to make the course a bit safer for future Grand Nationals. I hate to see these animals land so horribly after a bad jump, but I can't see whoever is in charge rushing to change things any time soon. I found the Grand National itself very difficult to trade too be honest although I didn't expect much from the race before hand anyways. The high prices/ lack of movement and equal spread of liquidity across countless horses doesn't really suit my trading style too be honest. I have evolved into more of a swing trader over the years and the mad moving markets are more my cuppa tea. I had a good festival, but didn't reach the heights I achieved at Cheltenham. The first few days went really well but I struggled a little bit on the Saturday to make the most out of a few opportunities. I might look into trading on Betdaq for bigger meetings in the future, as the volumes are apparently a bit more manageable for trading. A healthy amount of liquidity, but not too much sounds quite appealing to me. It does come down to expectation as well I believe, and I do tend to raise the bar a bit for bigger meetings. Pushing myself can be a positive thing most of the time, but on the Saturday I tried a bit too hard to create opportunities which simply weren't there to take. The only way you can really get on a roll with trading race after race, is to let the opportunities come to you and pounce on them when they arise. When you increase your stakes more profits can be achieved, but this also creates more risk. A double edged sword in which the smallest mistakes can be the difference between a big profit on a race or a break even. All in all I've had a good week, but I am naturally quite competitive so I'm quite hard on myself at times. I try to never get complacent as this can be very dangerous for your mindset, and I'm constantly looking to work on the holes in my game which I can improve on. The biggest lesson I have taken out of this years Aintree meeting, is to focus on my trading strengths and work to them. I'm going to try and Identify which races I can be really aggressive in, and know which races I need to treat with caution. This should stop me being too aggressive in markets that hold a little too much risk. I'm not sure what happened in the race that made Baby Run hit 8.4! If a bot made a mistake or a combination of people needed to close their positions out? But I couldn't understand it when I looked at the graph after the race. I thought Baby Run was travelling really well throughout so it makes me think it was more of a mistake with a bit of a mad spike. I'm quite tempted to have a go with small stakes in running again when I see things like this. Problem is it takes a different kind of mindset to succeed in running than it does pre - race. I have tried doing both in conjunction with each other in the past at a trading cafe, but I found it quite difficult to go from one mindset to the other. You have no time to even breathe between each race, but saying that I might give it a go again out of interest. Maybe adopt a slightly less active approach in running and stick very small stakes. I'll mention it again if I decide to give it a go. A friend of mine has just moved out to Sweden and he was flying through Amsterdam to get there. So I thought it would be rude not to go with him for a few days to send him off in style hehe. I forgot how mad that weird and wonderfully place is! I vaguely remember the last time I was in the Dam which was back when I was 18. I went there with 8 of my mates and well, as you can imagine fun times! This time was more a few days of chill and relaxing. It's a beautiful place to visit if anyone is thinking of having a few days away. After a big meeting like Cheltenham, I always remind myself to take things a little bit steady in the markets until I get my breath back. 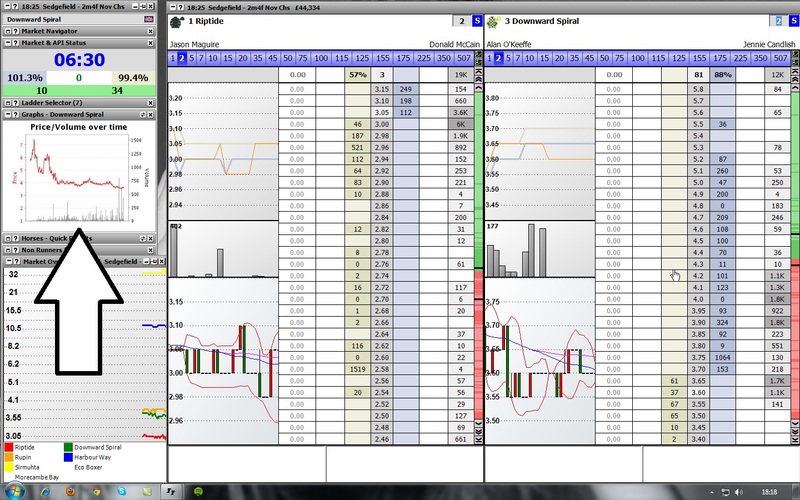 It can be easy to get carried away when starting to trade the markets again just like you were doing in Cheltz. So after a chilled out weekend I thought I better get back to it and didn't expect much from the day knowing Aintree is on 2moro. But I thought today was damn tasty too be honest. It felt like the start of good times to come, with the sun shining outside and some really nice moves to get stuck into in the markets. It brought me back to memories in Madrid and how much better I feel when the sun decides to say hello. I've never been a massive stats man or one that cares too much about how much my turnover is on the day. Either how much percentage of my bank I am using or how much my ROI is. These things just seem a little tedious to me but if that's your thing then knock yourself out. Of course I pay close attention to my staking plan and controlling how I trade in a race, but I'm referring to analysing results after the day. I mean maybe I could improve some of my results after spending hours analysing what I'm doing, but too be honest my take on it is life's too short and I'd rather have a beer with my mates thanks. That said I did notice something quite interesting on 2 races today. I basically reached nearly identical totals on both races, but the total turnover on each was very different. It all comes down to what style you decide to adopt in a particular race which determines the amount of turnover that is achieved. Different markets can also offer you more opportunities to turnover your bank at a faster rate, but it also sometimes comes down to simply making a conscious decision to trade one way or another. The race below shows me consciously deciding to take a long term view on the market. Opening a few positions up and looking for the big move going in one direction. Instead of sneaking in and out and turning over more of my bank. The point I'm trying to make here, is I'd recommend spending more time on improving your styles/techniques and strategies, more than worrying too much about small differences in percentage turnover on your day. Nice profits can still be achieved on relitively low turnover totals. This total below was only £1250 matched on the back side and £1350 matched on the lay side. In comparison the race below was an example where I still was looking for the swings, but I made a conscious decision to try and turn over more of my bank. The main reason for this was as I wasn't as sure of the overall direction of the market compared to the previous example. So in this case I was cutting out for smaller profits, turning over more of my bank, but as you can see the profit is nearly identical. 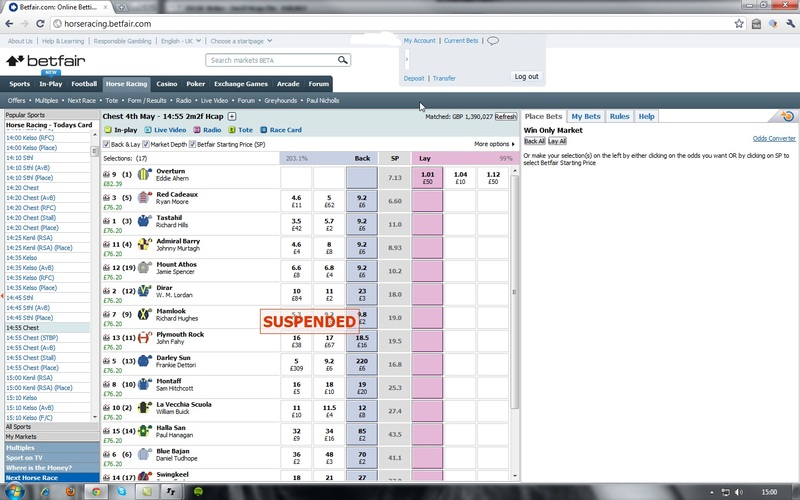 This time £6147 was matched on the back side and £6244 on the lay side. That might sound like a lot of money, but I can easily turnover a lot more than that in a race but only when the market allows me to. Funny thing is though that doesn't necessarily mean x amount more profit. At the end of the day the overall profit is more important than your actual turnover. On swing markets you can afford to look for more of a longer term move, and be able to hang onto your position longer with the aim to look for more profits. This will inevitably mean you won't turnover much of your bank, but who really cares :) In scalping markets you need to turnover a large amount due to the fact you are only looking for 1/2 tick profits. But also you will scratch a lot which boosts the total up even more. Anyways Aintree starts 2moro and I'm really looking forward to the Grand National Meeting. I'll tell you right now....as far as a pure horse racing spectacle, you won't see a better horse racing card on any day of the year than what is on show 2moro. A lot of the big boys who ran at Cheltenham are lined up and I'm pretty excited! Ohh and I've just noticed Woolcombe Folly is 8.0 on BF in the 16:15 Aintree. He's high in the weights but I'm having some of that fo sho. Seems massive price! He was unlucky in the Champion Chase at Cheltz after being bashed about in running and I think should destroy this field even at top weight. I'll be having a go on a few multiples as well 2moro which have been proving a nice little earner recently. Good luck all! Fingers crossed the markets will be just as mouth watering! 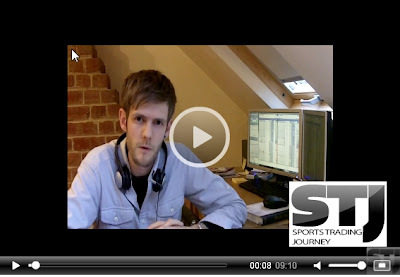 Want To Become A Sports Trader? Receive over 10 hours worth of live trading content over the next 3 months! Jack Birkhead - All Rights Reserved 2009-2011. Awesome Inc. theme. Theme images by Petrovich9. Powered by Blogger.